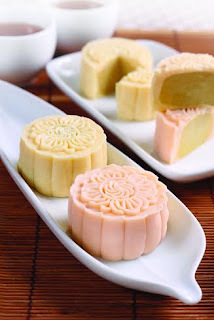 Mooncake festival is around the corner. Six days left as we celebrate a meaningful festival where everyone will have family gathering, eating mooncakes and playing lantern while enjoying the beautiful sight of the full moon to signify completeness and the unity of families. If you find the same old tasty traditional mooncakes a bit boring, then D'King Premium Vegetarian Snow Skin Musang King Durian Mooncakes will sure to tease and delight your tastebuds. It is handmade and does not contain preservatives and artificial flavouring. It is packed with the flesh from the highest-grade Musang King durians sourced from Pahang. 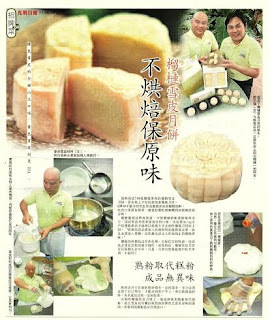 Simon King, founder of D'King, shares "D'King mooncake is prepared with the actual durian flesh. Once the durians arrive, we peel them and remove the flesh immediately to prepare the mooncake filling. Is wait too long, the durians would break open on its own, and the aroma and taste would be lost. Last year, our D24 mooncake was very well received. so this year, we decided to go for the most premium durian, which is the famous Musang King. 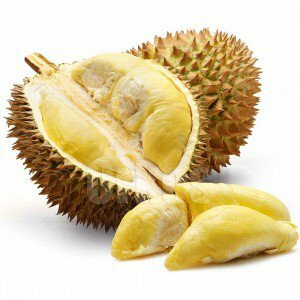 The Musang King was selected for the creamy and sticky flesh, with its strong scent and flavour that melts in your mouth." Another unique feature is its delicate snow skin that is light-textured yet uniquely bouncy. The snow skin also has to be thin enough to emphasize the filling but strong enough to hold it all in. The snow skin is made from a secret recipe which they have created after many rounds of trials. Their pastry chef has nearly a decade of experience behind him and extremely particular about perfecting the taste. Wow... thats the secret for the making of the best mooncake of the year. D'King has been available by telephone order in Malaysia since 2012 and cater to a list of loyal customers. It had exported to China and Hong Kong and is a favourite amongst several celebrities there. D'King was honoured to showcase their products made from the King of Fruits, including the D'King durian mooncake during the official visit by Xi Jinping, President of China to Putrajaya Residence in 2013. D'King snow skin musang king durian mooncake is sold in sets of eight 60g mooncakes at RM128 per set. Good news for those interested a currently they have a promotion at a price of RM98 per set. Free delivery for two or more sets are purchased. To order, please whatsapp 012-6648797 and type "
Besides mooncake, D'King's products ranges from durian skin, durian pancake, durian paste as well as seasonal items. For more information and details, please visit their website at www.dking.com.my or their FACEBOOK. This is too nice!! Bite one and bring me to heaven!! i also missed out this! between, how is the taste? Durian + Mooncake = always good ... well, any dishes with durian is good... chocolate durian cakes, durian sticky rice, luncheon meat with durian paste dips. Looks great Jane! Durian mooncakes are the best, what's more its musang king. Will definitely try it out. Yummy... looks like the durian flavoured mooncake is the flavour of the season. Looks tasty! I love Durian I wonder hows the taste will be with mooncake yummy! I don't think i can give a a try to durian mooncake though i have tried other flavours. Heard so much about this mooncake. I guess i should give it a go one day! one of the best durian mooncakes i've ever had. good stuff. Guess a durian fan will love this mooncake a lot! I am not, so not really attract me. Thanks for sharing ya. I've never had mooncakes before. Or even heard of them. But these look beautiful! Mooncakes intrigue me. But durian flavored mooncakes? That's something!